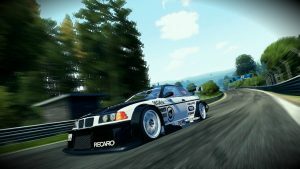 Whether you prefer gaming on your PC or on the latest PlayStation 4, there are endless choices of car racing games currently available on the market. With the available technology, graphics and designs for games, a number of options will entice you into the game and create a virtual racing experience with all its excitement and thrills. The following games not only provide a rush during gameplay but also capture the essence of true race car driving. There are several games that stand out when looking to race the tracks on your PC. In no particular order, the first one to look out for is Need For Speed: Shift 2, which was developed by gaming company Slightly Mad Studios and released in 2011. Although this was a few years back, the game is user-friendly and successfully recreates the atmosphere of performance driving. Trackmania 2, developed by Ubisoft, is another option that provides a simulated racing experience worth every second of your time. Whether choosing from the Canyon, Lagoon, Valley or Stadium editions, this game offers quality visuals and carefully designed race tracks to reflect the feel of real racing. Lastly, Dirt Rally by Codemasters was released in 2015 and is said to be one of the best games to be released by the company. This game is all about endurance, which is an accurate reflection of what rallying is really like. It also offers great dirt tracks with slopes and slides that would be found in real racing. While PC games are great for racing, PlayStation allows for two players, making the experience all the more competitive and exciting. Naturally, the Formula 1 2018 game is on the list of best choices, both because of its excellent gameplay quality and classic racing styles. The update, also created by Codemasters, offers improved control abilities and a variety of available cars from the latest championship. Gran Turismo, or GT Sport, which was released in 2017, is another one of the best racing games for PlayStation, whether playing alone or with a friend. With 162 car options, excellent graphics and 27 different tracks, it’s a favourite for those who love racing. Lastly, Assetto Corsa is one of the most realistic virtual racing games available and allows for a wide range of modifications and customisations. Developed by KUNOS-Simulazioni and released in 2014, this game provides some of the best racing experiences available in the gaming industry.